I've been a little slack on posting, the weather has had me yearning for the outdoors and it makes it so difficult to be inside when the birds are singing, the flowers are blooming and the sun is shining! Well if you are reading this, it is due to the sun, or lack there of. Today the birds are getting their bath, and the plants are getting a much needed drink! 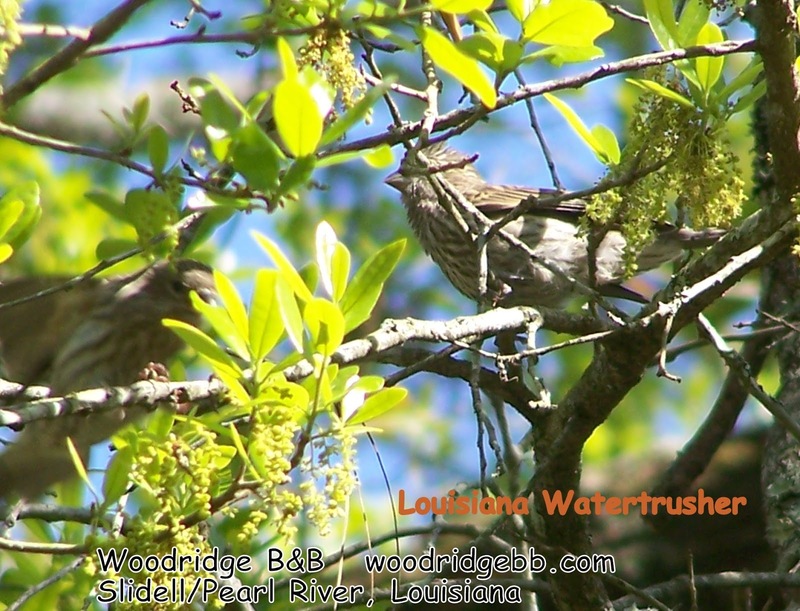 Now's the time for all you birders out there to migrate to our area for the 2013 Louisiana Birdfest as the migration of many species from Mexico and South America make their way to Louisiana as a resting spot. If you can't make it to the Birdfest, many of the areas they tour are just minutes from Woodridge. Bring your bird-guides, binoculars, walking shoes and your cameras and come for a visit. Many of these visitors also visit Woodridge, just prop your feet up on the balcony and the bird song will keep you in awww.